Some time passed and then one day when Amy checked, a slip had appeared in the little tin box. The request was simple: A child to adopt. This nurse and her husband had been waiting for years to be parents. Amy was overjoyed that she had been asked to pray, and she prayed diligently for this couple—that they would experience God’s power and love through the arrival of a little one into their family. Amy’s own story of coming to know Jesus centers around friends who cared for her and prayed for her. There’s more of course—they also invited her into a group where she could read and discuss the Bible with them. She got to know their families. And then she saw how one of their families experienced profound loss. After witnessing a memorial service that was filled not only with deep grief but with eternal hope, she gave her life to Jesus. Since that time many years ago, Amy has kept her eyes open for ways to pass on the life in Jesus that she has experienced. 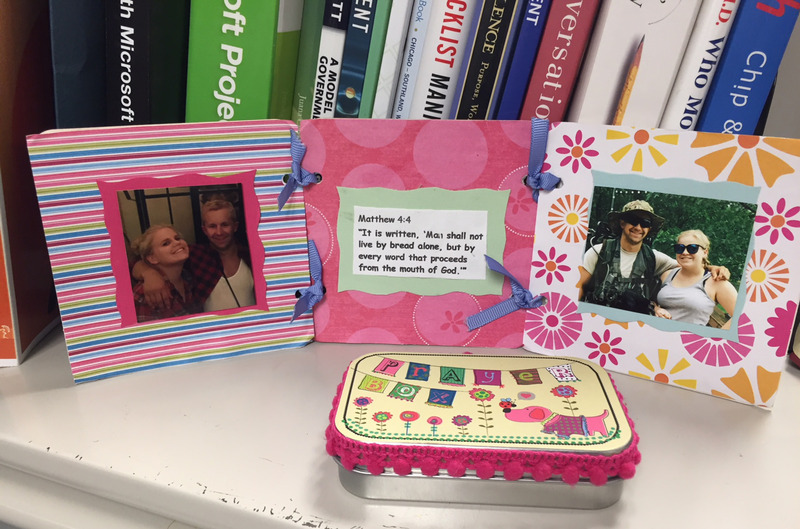 And this year it was a decorated mint box—found at a craft shop—that provided inspiration for a new pathway to share his love and power with at least one of her friends at work. A few Sundays ago, Amy couldn’t contain her happiness in sharing this story between meetings at church. Just that week her coworker had come to her, full of gratitude, to thank her for praying. She and her husband had just gotten the call, they were heading to Target for baby essentials, and the next morning they would pick up their newborn son! Editor’s Note: The Art of Praying is one of the 9 Arts of Spiritual Conversations, and Practicing the 9 Arts: Complete Guide from Q Place provides four curriculum sessions to help you grow in praying for people around you. In all there are 36 sessions—one on each of the 9 Arts—that will help you engage in meaningful conversations about God with people who believe differently.